⭕️ Hat hair ball is acceptable for random colors ⭕️ The cloak is a short board! ⭕️ Hat hair ball is acceptable for random colors ⭕️ The cloak is a short board! 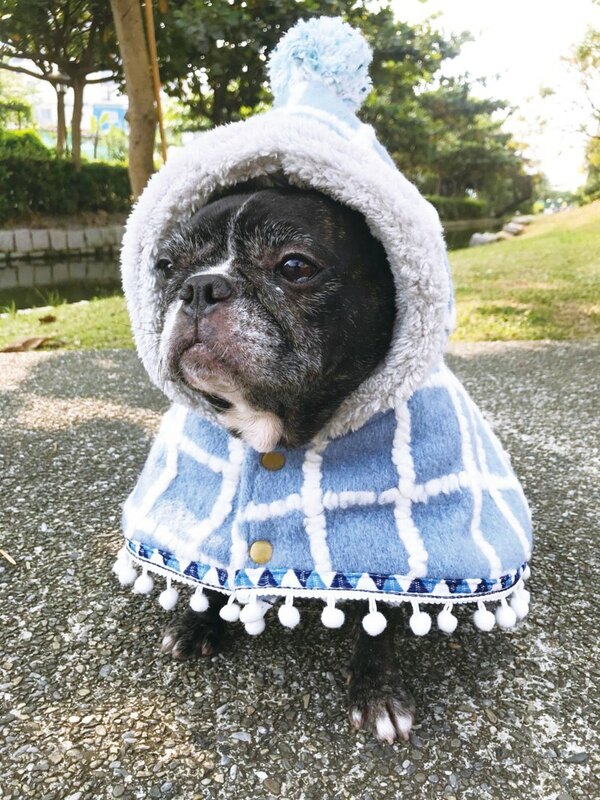 Super cute short fringed cloak Inside the ultra-comfort thick cotton wool Wear it warm and straight **This product has only four fixed sizes, only the neck circumference can be fine-tuned. If there is no spot size, please order it, and fill in the required 4 size specifications in the remarks column. MARU Tiger Zema 10KG wears M number XS number: neck circumference 25-30 front length 8 back length 14.5 S number: neck circumference 30-35 front length 10 back length 17 M number: neck circumference 36-41 front length 12 back length 20 L number: neck circumference 42-46 front length 13 back length 23 长度 Length contains tassels, each tassel has a slight increase or decrease in length Washing method: Do not bleach and dry, please turn over and wash. Ordering needs to wait 10-15 working days (excluding holidays and home delivery time Please remember to return the size of the dog after purchase.